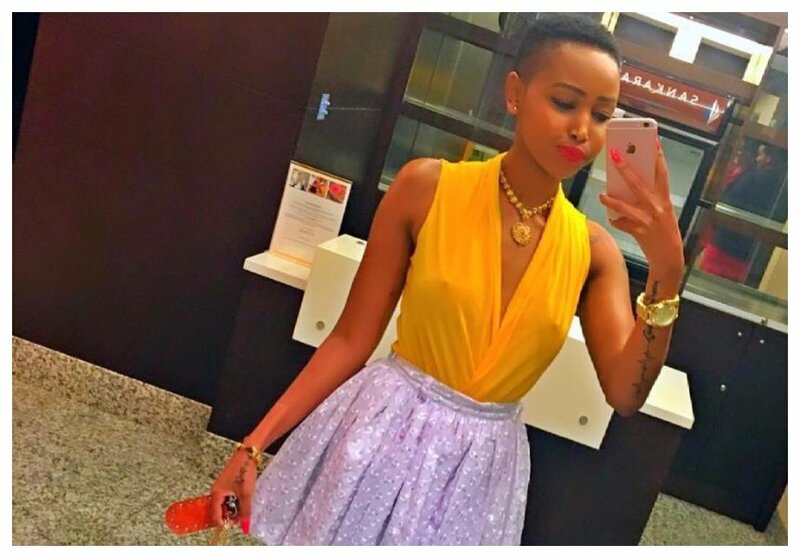 Huddah Monroe has changed for the better as far as sleeping with one man is concerned. The petite socialite recently revealed she has been in a relationship with one man for a year. She took to social media to share details of her relationship with the man whom she has kept a secret. 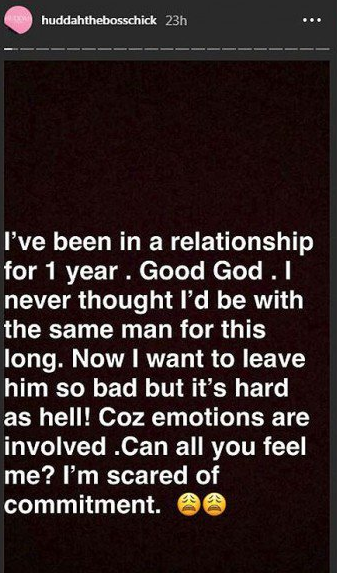 Huddah praised her man saying that he is bedroom bully. “I’ve been in a relationship for 1 year. Good God . I never thought I’d be with the same man for this long. Now I want to leave him so bad but it’s hard as hell! Coz emotions are involved .Can all you feel me? I’m scared of commitment. D game so good . 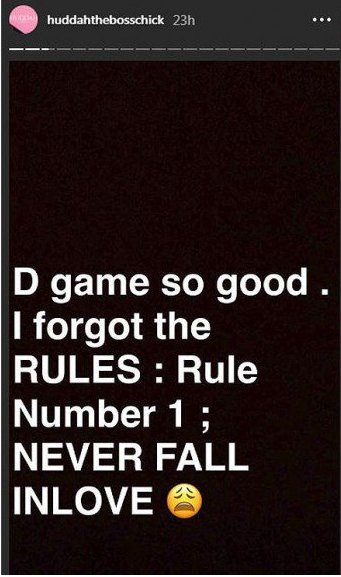 I forgot the RULES : Rule Number 1 ; NEVER FALL INLOVE,” wrote Huddah Monroe on Insta Stories. 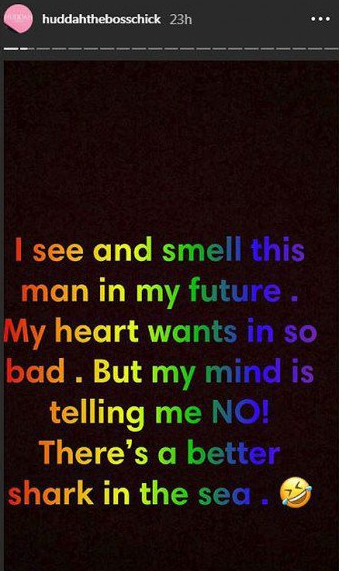 Huddah Monroe is itching to cheat on her boyfriend, the petite socialite admits that her mind is telling her there is a better man out there even though she lives him dearly. “I see and smell this man in my future. My heart wants in so bad . But my mind is telling me NO! There’s a better shark in the sea,” wrote Huddah.